Today’s spyware technologies are so advanced that we ourself, even without realizing it, are happy to give access to our private data or disclose the location to potential spyware. Nowadays privacy level is minimal, which means that the work of spies is getting simpler. 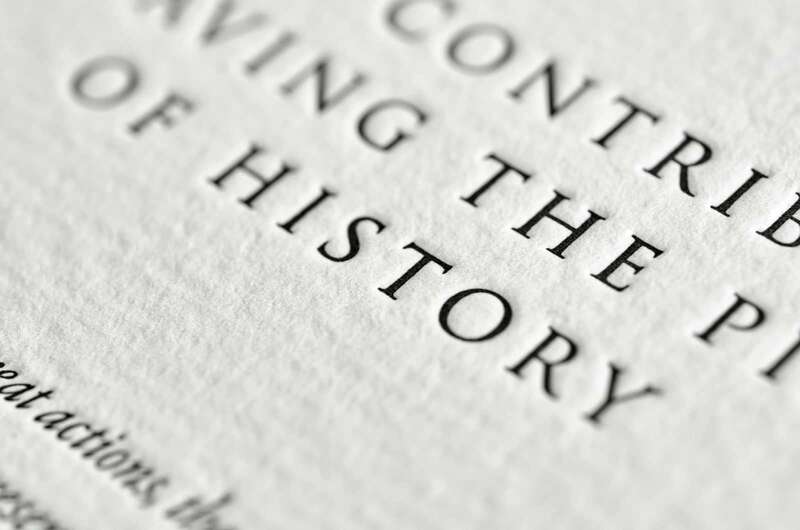 But during the Cold War, everything was much more complicated and interesting. The time when was no internet (not to mention that was no smart devices), spies used advanced high tech engineering equipment, that could only be seen in movies about James Bond or legendary double agent Stierlitz. The Big Apple residents and guests are very lucky because the first and only museum in the world soon will be opened in New York City. 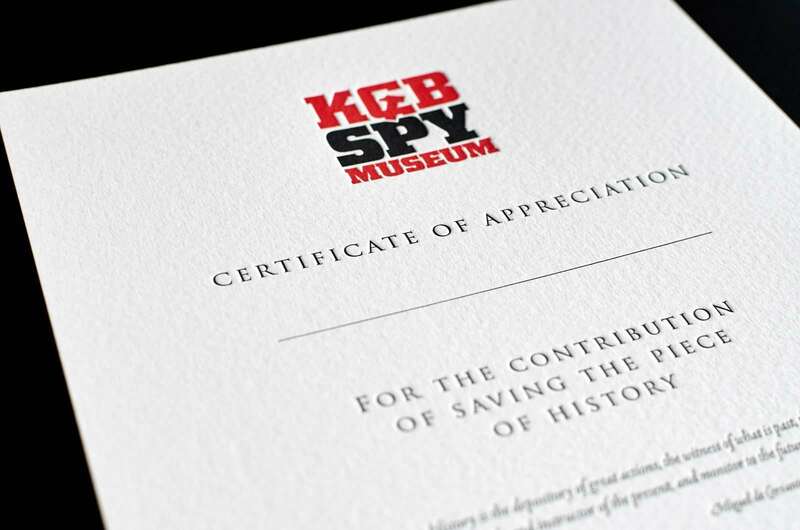 It is the place where you will able to discover the unique Soviet spyware technologies and the dark history of the KGB. 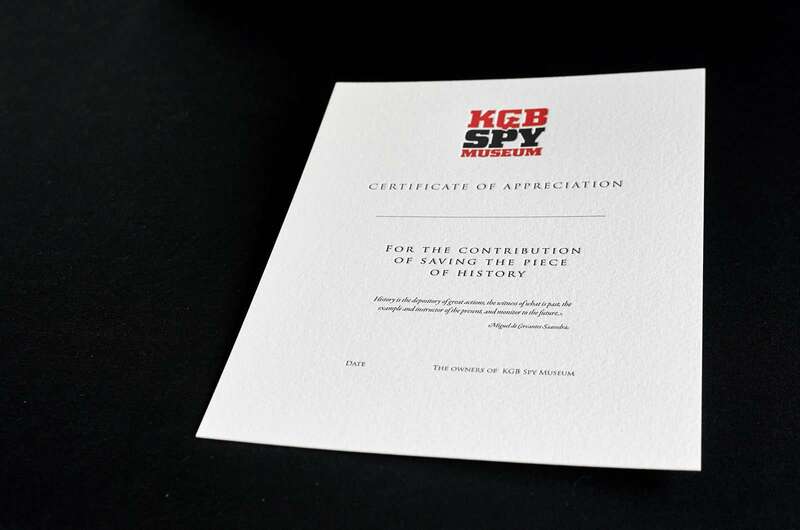 We had the honor not only to create the logo for the museum but also to print certificates of appreciations, which will be presented to everyone who has contributed to the creation of this museum and preservation of spy history.